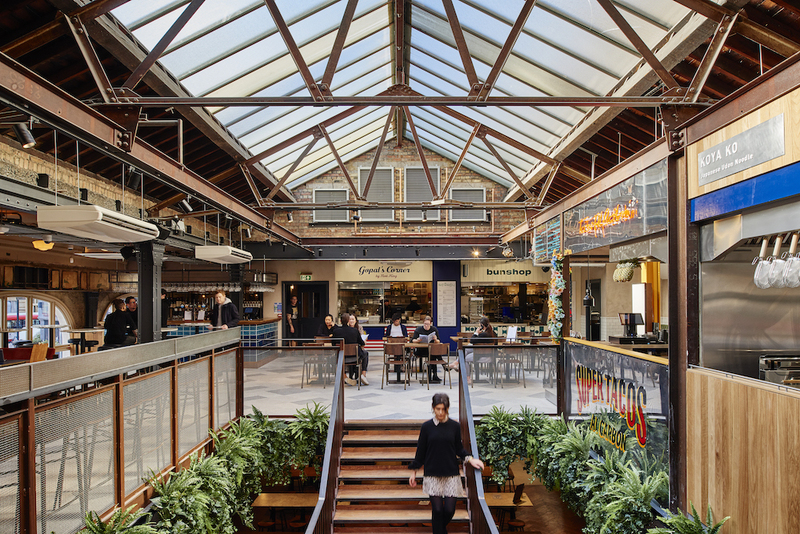 The second site from the Market Hall team, this upscale food court in Victoria is a veritable hub of high quality street food outlets and bars. 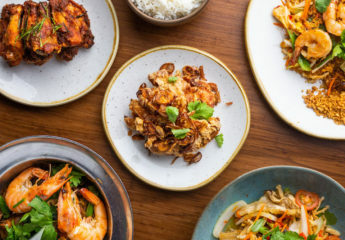 The second site from the Market Hall team (the first being in Fulham with the third opening soon in the West End), this upscale food court in Victoria is a hub of high quality street food outlets and bars. 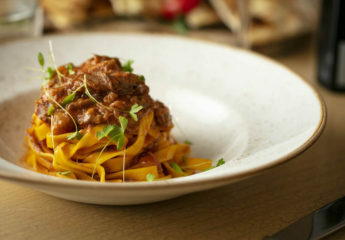 Featuring some of London’s best casual dining, Market Hall Victoria hosts several small stands from places such as Flank (for excellent note-to-tail eating); Gopal’s Corner (from foodie haven Roti King); Monty’s Deli (renowned for their salt beef); Baoi Zinn (for some of London’s best dumplings) and Koya KO (for their much-revered udon noodles). There’s a great selection of dishes from all corners of the world, and most vendors offer a good variety of vegetarian and vegan options too. 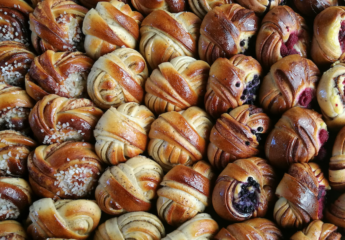 That’s one of Market Hall’s strengths – the breadth of their offering. The market is beautifully designed and benefits from plenty of comfy seating, great music, ambient lighting and bathrooms that far exceed your expectations for a street food centre. 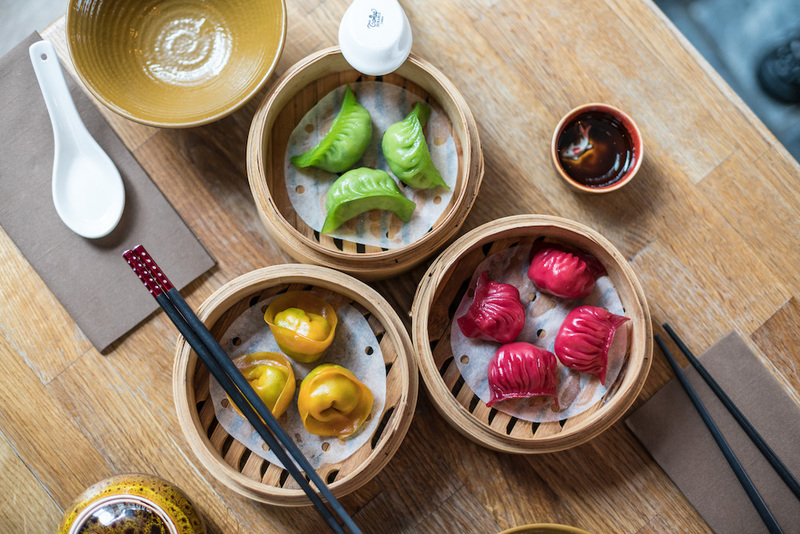 The food is served on proper crockery with cutlery which is cleared away by cheerful and helpful waiting staff – again elevating it above the usual throw-away options that ordinarily go hand-in-hand with street food. 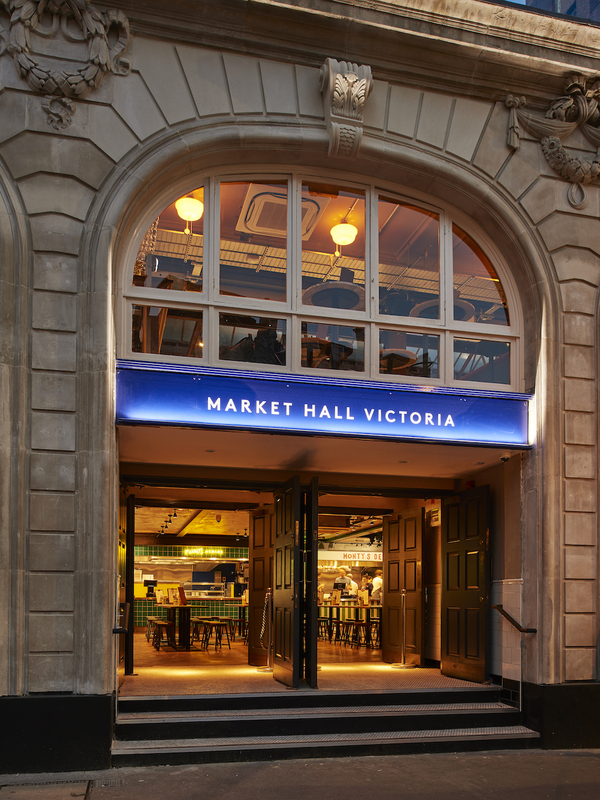 Market Halls is fun, convivial and a great option if you’re looking for a tasty bite to eat when you’ve not got much time – or you’re with a big group of people with varying tastes. 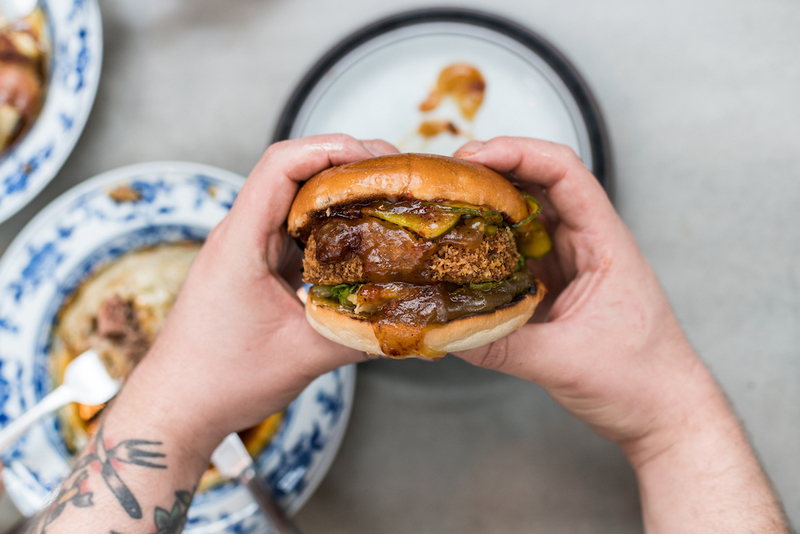 It’s an interesting new direction for street food in London and has made enjoying food like this so much more accessible. Now that they serve breakfast too, and it’s open seven days a week, it has really helped put Victoria’s food offering on the map. Look out for the rooftop bar opening in time for the summer. 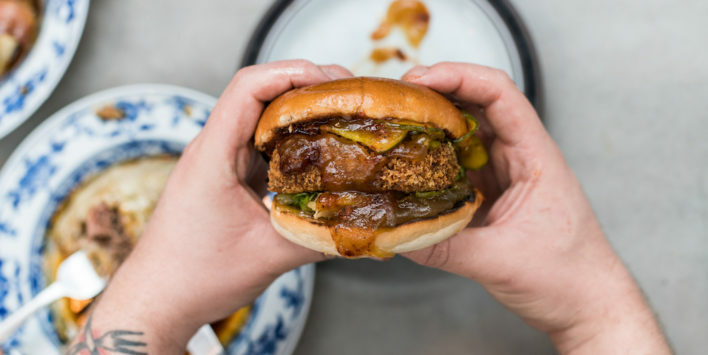 If you enjoyed this feature on Market Hall Victoria, read some of our other latest reviews including Sticks’n’Sushi Kings Road, Cora Pearl in Covent Garden or The Ninth in Fitzrovia.